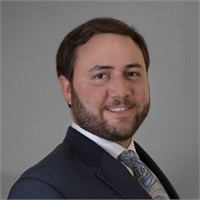 Jeremy Walter | Halberstadt Financial Consultants, Inc.
Jeremy has extensive expertise with creating and utilizing short-term trading models. Prior to joining our firm, Jeremy worked for a major New York City accounting firm as a senior auditor for private equity firms, hedge funds, high-frequency trading funds, and manufacturing companies. Jeremy received his Master of Science in Accounting and Bachelor of Arts in Economics degrees from the State University of New York at Albany. He holds the Series 65 and Series 3 licenses.